Switching to LED light bulbs is one of the easiest ways to make your home more energy efficient. Even though you’re likely to make your money back – and then some – on the investment, it can be a tough sell as it may take years of use just to break even. In an effort to make their offerings more attractive, some LED bulb makers have been sacrificing lifespan in order to drive down the cost of entry. Philips, for example, ran a promotion earlier this year in which it offered a pack of two LED bulbs for just five bucks. The catch? They were only rated to last 10 years. Cree’s latest bulb aims to address lifetime concerns at a moderate price. It features an improved lifespan of more than 27 years (30,000 hours) based on average usage of three hours per day. The Cree bulbs put out 460 lumens for the 40-watt replacement while the 60-watt equivalent generates 815 lumens. Both are available in soft white (2700K) and daylight (5000K) color temperatures and are fully dimmable with most standard dimmers. 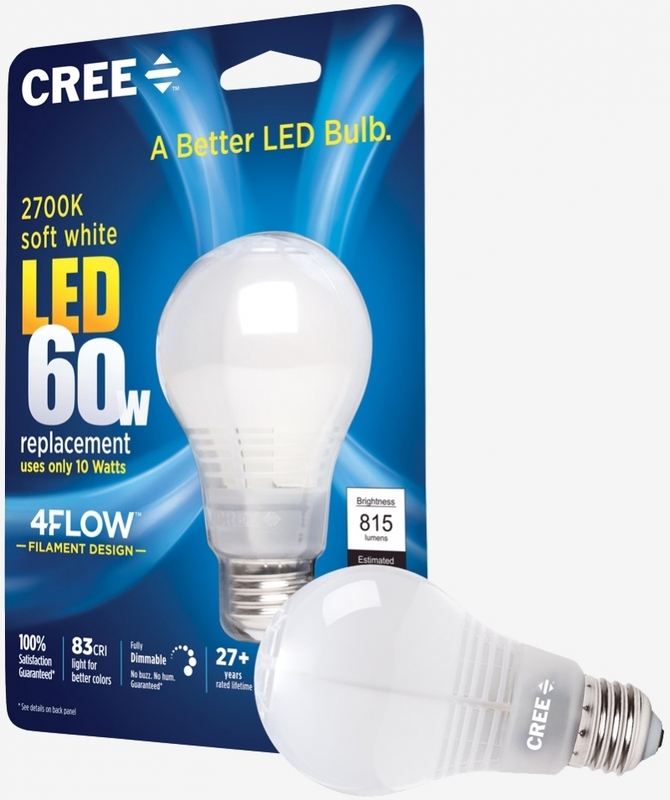 Cree said its new LED bulbs will be available later this week via Home Depot’s online store before arriving at retail locations across the country by the end of the month. Pricing starts at $7.97.